The New Sincerity is a bourgeoning philosophy devised to combat the pessimism and cynicism found in post-modernism and the popular culture of the twentieth century. A variety of alternative philosophies have also come to light, including post-post-modernism and metamodernism, but in my opinion, the New Sincerity has more compelling arguments for a uniquely modern mode of philosophical thought. Whereas postmodernism focuses on the loss of meaning in the signifier and the hybridization of ideas, the New Sincerity focuses on authenticity and sincerity in one’s ideas. In the twenty-first century pop culture mediums of film, television, music, animation, and internet-based media, we can see this idea becoming increasingly apparent. However, we can trace these ideals to as early as Mister Rogers’ Neighborhood in the 1960’s and compare them to their modern depiction in Adventure Time, introduced in 2008. Freelance journalist and educator John Fitzgerald states that the New Sincerity’s emphasis on sincerity and authenticity creates opportunities for discussions of morality in modern American society (28). Whereas post-modernism was marked by decades of cynicism, degrees of pessimism, and detached irony, the New Sincerity seeks to resolve those issues for a new generation. The popular culture of today is rife with depictions of changing morals in the arenas of music, television, literature, and film, dealing with topics of family values, religion, patriotism, and self-esteem (Fitzgerald 4). Fitzgerald, in a podcast interview on Homebrewed CultureCast with Christian Piatt and Jordan Green, argues that the world of mid-twentieth century was facing upheaval, linked subtly in part to the pop culture it perpetuated. The Cold War and the Vietnam War shook the world, while American society was facing the mayhem of massive cultural movements and a popular culture which reflected those ideas. Films about the Vietnam War showed a conflicted soldier, beleaguered by society’s perception of them. “Stories focused on raising questions rather than giving answers. They moved away from certainty and focused on moral relativism (Fitzgerald 20). However, by the mid-90’s, films like Schindler’s List and Saving Private Ryan showed resurgences of patriotism and depictions of war that had meaning, especially the battle of good versus evil (Fitzgerald 102). The depiction of American society in today’s popular culture, while more conflicted in many ways, champions a few clear values. “Caring today doesn’t mean blind patriotism or nationalistic cheerleading… It means hoping that values of sincerity and authenticity that become so enmeshed in youth culture will survive as we get older and the responsibility of leadership falls to us” (Fitzgerald 115). Much has changed with the dawn of the 21st century and, as in past generations, it is the youth who act as the heralds of the new paradigm. “Nerd culture” seen in such media as television’s The Big Bang Theory and Community, as well as the web series Video Game High School emphasizes new ideas of vulnerability. It has become “cool to care” about spirituality, the environment, family, neighbors, country, and one’s place in the world (Fitzgerald 36). An interesting example to show this clear change from twentieth century to twenty-first century thought is a comparison of pop music and cultural stars Madonna and Lady Gaga. Whereas Madonna was clearly cool, she was somewhat “on a pedestal” in that she was unapproachable and unobtainable (Fitzgerald 45). Fans couldn’t hope to live up to her image of decadent fame and adoration because of her mystique and stardom. Likewise, Lady Gaga purposely sets herself apart as a pop culture icon and clearly revels in the attention. However, unlike Madonna, Lady Gaga also encourages uniqueness and individuality for herself and her fans, going so far as to start the Born This Way Foundation (Fitzgerald 46). Her organization exists, “to foster a more accepting society, where differences are embraced and individuality is celebrated” (Fitzgerald, qtd. on 46). Fitzgerald stresses that this authenticity of self has moral implications in how we live our lives. Quoting philosopher Charles Taylor, Fitzgerald states, “We discover who we are and achieve this kind of self-fulfillment in relation to other people, and ultimately, in relation to something, ‘more or other than human desires or aspirations’” (qtd. on 46). Mister Rodgers’ Neighborhood began airing in 1968 and remains the longest running children’s program on public television of all time, still capable of being seen on certain local syndicates (Warburton 33). Fred Rogers originally intended on joining the seminary upon graduating college, until a random TV viewing angered him into action. The show he witnessed exhibited two men hurling pies at one another, which he believed to be an indecent way of solving a fight (Rowe 105). Instead, Rogers believes that more drama can be found in two men discussing their feelings of anger than in “bopping each other over the head” (“Defending PBS”). Fred Rogers may receive a degree of mockery for his straight-laced, buttoned-up, good-Christian-boy persona, but it is for these reasons that he has become revered as a pop culture icon. For however strange one may view his persona, another recognizes someone who is being completely and wholly true to himself. Tom Junod, a writer for Esquire magazine, described Rogers thusly, “There was an energy to him, however, a fearlessness, an unashamed insistence on intimacy; and though I tried to ask him questions about himself, he always turned the questions back on me” (1). It is in this description that Rogers mentality on life reflects the philosophy of the New Sincerity. Fred Rogers as he often appears on the show. While producing the show, Rogers became a Presbyterian minister and earned a master’s degrees in childhood development, showcasing his concern for moral values and correct pedagogical techniques (Rowe 116). The most important thing to come from this education was his formatting of the show to speak directly to the viewer as his “television neighbor.” This direct address helps to foster a sense of intimacy, concern, and involvement for the viewer not typically seen in children’s programming. The more involved the viewer feels, the more likely they are to practice what they learn. “The ability and willingness to express oneself are part of the manifestation of each person’s individuality and uniqueness and they enable us not only to develop but to express a sense of self-esteem, self-sufficiency, self-recognition, and self-expression” (Warburton 37). Each episode of Mister Rogers’ Neighborhood deals with such simple topics as accomplishing a task, dealing with feelings in a creative or controlled setting, and finding one’s self worth. Rogers, the host of the show, closes each episode with some variation of the statement, “You always make each day special by just your being yourself,” urging his audience members to live their lives with sincerity and authenticity (“Making Mistakes”). Citing the research of psychologist Carl Rogers, Warburton states that, “a warm positive regard for each other, an atmosphere of openness and trust, and an acceptance of each other without evaluation” (34), is paramount to effective interpersonal relationships, all of which can be found in Fred Rogers’ program. On the other hand, Cartoon Network’s children’s program Adventure Time, extols New Sincerity philosophy in a completely different manner. One would assume the story of a young boy and his dog wandering a post-apocalyptic Earth wouldn’t be fitting for a children’s television show, but creator Pendleton Ward defied that notion. David Ewalt of Forbes magazine described the show as, “one of the funniest, sweetest, and weirdest programs on television” (14). What makes Adventure Time truly unique is the element that keeps fans coming back for more; Ward has decided to age his characters with the age of the voice actors. Finn, the protagonist of the show, is voiced by Jeremy Shada, who was 13 when he began playing the character. As he has aged, his voice has deepened and has allowed opportunities for the show to explore deeper and more mature issues, such as dealing with adolescence, parental anxiety, dating, and finding one’s purpose (Franich 1). With these elements, the show has a clear appeal to a New Sincerity philosophy by exploring issues of self. An interesting aspect of the show is its audience appeal beyond children alone. 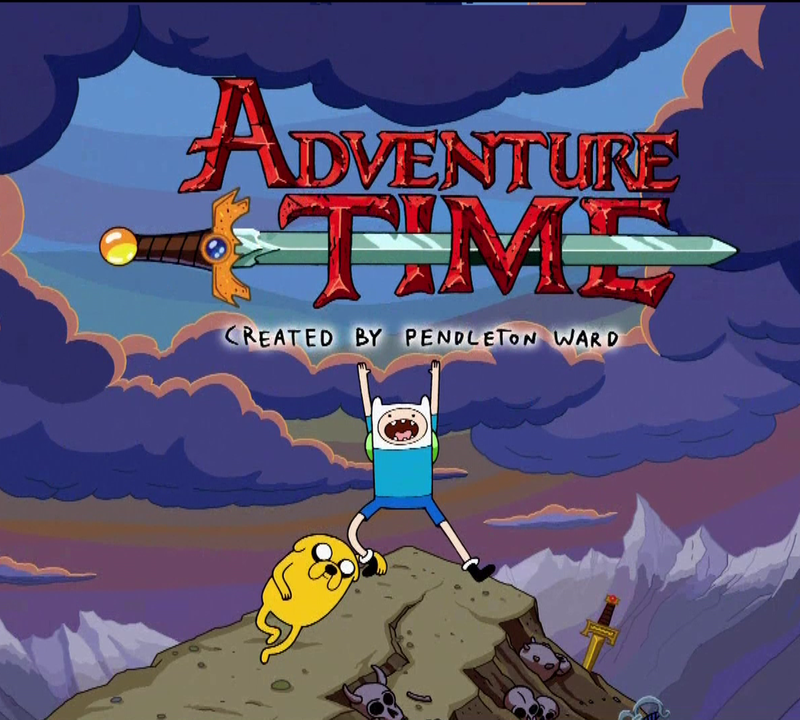 “This is a coming-of-age story, and like Harry Potter, Adventure Time has matured with its protagonists” (Franich 1). The show frequently includes “near-psychedelic transitions” and “absurdly abrupt episode conclusions,” that are appealing to “a stoner crowd” (Nelson 1). In addition, the animators and writers frequently interact with audience members over the internet through Tumblr, personal blogs, fan art, and music demos (Nelson 1). “The transparency is surely something that appeals to people who spend a lot of time on the Internet, (read: college students)” (1) says Jenny Nelson, a writer for New York University’s student blog. An amazing thing that Adventure Time and Mister Rogers’ Neighborhood share in common, because of the New Sincerity, is their ability to appeal to these wide audience, despite being programmed for children specifically. Rogers himself explains this by stating that, “Adults tell us when they tune in to our program, they come away with a renewed sense of their own self-worth” (72). Most parents will watch the show with their children to help explain the lessons learned, but the values Rogers extols also clearly benefit the atypical, mature audience. Adventure Time, on the other hand, often has innuendo and darker themes that only older audiences could pick up on. For example, in the episode “Burning Low,” Jake describes the “tiers of dating” to Finn so that he knows how his relationship with Flame Princess will continue. Jake explains that tier 1 is “hugging,” tier 2 is “smooching,” but when Finn asks about tier 15, Jake yells, “You stay away from that!” The humor works in play with the moral value of Jake’s concern for Finn’s budding relationship. However, this joke is clearly aimed for a slightly more mature audience of teenagers and young adults. Adventure Time’s New Sincerity appeal also manifests itself in Finn’s earnest character. As an adventurer and self-proclaimed hero, Finn feels accountable for helping everyone in need, despite never having a role model in his life to teach him this sense of responsibility. In fact, all of Finn’s conflicts come from him having to learn the harsh truths and realities of the world for himself, lending to his sincerity as a character. Fitzgerald states that this indirect approach of reaching some moral argument is becoming more common, where a character deals with a situation and the audience merely acts as an observer (121). It then becomes the audience’s choice to determine any meaning from character’s actions for themselves (Fitzgerald 121). The example most telling of this growth is when Finn finally confronts Princess Bubblegum about leading him on in his crush for her. In the episode “Burning Low”, Finn asks Bubblegum not to “build him up all over again,” after she has turned him down so many times before, a position unique for an animated character on a children’s program. This type of sincerity may be far from what Fred Rogers would ideally teach on his program, but it is still a form of being true to oneself, which he fully embraced. Youth culture is in a unique period where it intends to drop the pessimism of the past, while also embracing the differences and richness of all that culture has to offer. Therefore, the New Sincerity allows for both Mister Rogers’ Neighborhood and Adventure Time to appeal to vast audiences even into today. Fitzgerald describes this idea eloquently when he states, “The way we live our lives, the things we value, the truths we believe in, and the morals that define our behavior, are determined in no small part by the entertainment we consume… Our lives will carry their values and lessons far into the future” (118). Considering that these two programs are so closely linked to the New Sincerity, despite their vast differences, it will be interesting to see what other popular culture youth programs will emerge in the near future. Burning Low. Adventure Time. Dir. Larry Leichliter. Cartoon Network. July 30, 2012. Televised. Web. Ewalt, David M. “It’s Adventure Time! Pendleton Ward Talks About His Hit Cartoon.” Forbes. 15 Nov. 2011: 14. Business Source Complete. Web. Fitzgerald, Jonathan D. “New Sincerity, Hating to Love Mark Driscoll & Gun Control.” Interview by Christian Piatt and Jordan Green. Podcast. Homebrewed CultureCast. Patheos.com, 29 Jan. 2013. Web. 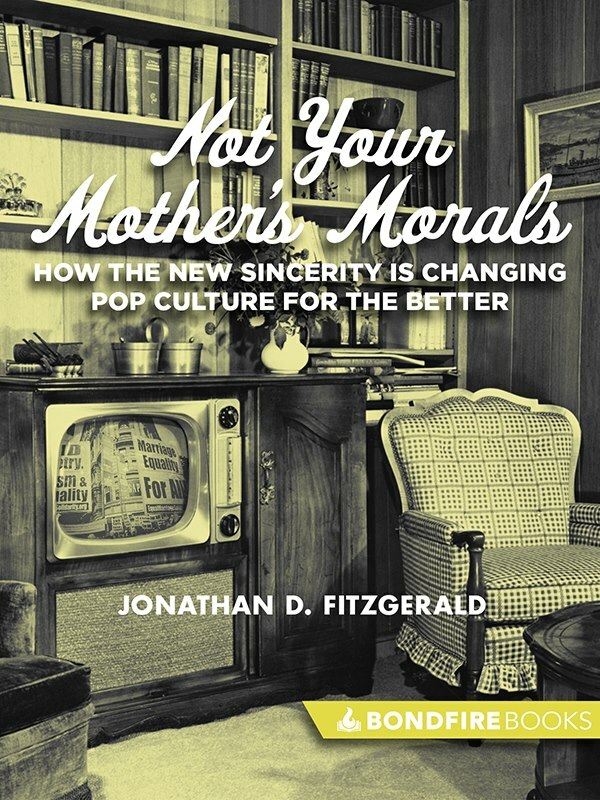 Fitzgerald, Jonathan D. Not Your Mother’s Morals: How the New Sincerity Is Changing Popular Culture for the Better. Rosetta Books, 2013. Electronic iBooks Application. Franich, Darren. “Adventure Time.” Entertainment Weekly 1 Mar. 2013. MasterFILE Premier. Web. Junod, Tom. “Can You Say…`Hero’?” Esquire Nov. 1998: 1. MasterFILE Premier. Web. Making Mistakes. Dir. Fred Rogers. Perf. Fred Rogers. Mister Rogers’ Neighborhood. N.p., n.d. Web. <https://www.youtube.com/watch?v=IH5o1BLHsFk&gt;. Mister Rogers Defending PBS to the US Senate. Perf. Fred Rogers. U.S. Senate Subcommittee on Communications, 1969. Archival. YouTube. Web. <https://www.youtube.com/watch?v=yXEuEUQIP3Q&gt;. Nelson, Jenny. “Adventure Time Succeeds By Transcending Age Groups.” Web Blog. NYU Local. New York University, 21 Nov. 2012. Web. <http://nyulocal.com/entertainment/2012/11/21/adventure-time-transcends-age/&gt;. Rogers, Fred. “A Point of View: Family Communication, Television, and Mister Rogers’ Neighborhood.” The Journal of Family Communication 1.1 (2000): 71-73. MasterFILE Premier. Web. Rowe, Claudio. “Some Things Never Change, and Thank Heavens Mister Rogers Is One of Them.” Biography Mar. 2000: 103-105, 116. MasterFILE Premier. Web. Warburton, T. L. “A Visit with Fired Rogers: A Guided Tour Through a Special Neighborhood.” Journal of Popular Film and Television 16.1 (2010): 32-40. MasterFILE Premier. Web.